The 2019 LINCOLN Navigator has distinct power and presence. 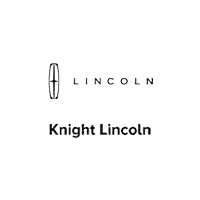 When your key fob is detected, autofold side mirrors project a signature LINCOLN logo welcome mat on the ground below the doors, while door handle areas glow and rear running lamps illuminate. Available power-deployable and illuminated running boards also extend to greet you. The available panoramic vista roof provides both first- and second-row passengers with an expansive view. Every surface, space and accessory inside the Navigator is optimized to deliver an immense level of comfort. With PowerFold second- and third-row seats, making the most of the available cargo space is as simple as pressing a button. Capable of producing up to 450hp and 510 lb.-ft. of torque, the twin-turbocharged 3.5L engine is a true powerhouse, complemented by a 10-speed automatic transmission and six selectable drive modes. Auto hold and adaptive suspension also help decrease the stress of harsh outside driving conditions and reduce effort of keeping the vehicle still at stops. Make simple work of heavy loads as easy as possible, with a towing capacity of up to 8,600 lbs. The Navigator offers a range of convenient features for staying connected on the road, including wireless charging and power ports, push-button shift, center touchscreen, a head-up display, a premium sound system, voice-activated infotainment system and LINCOLN Way app access. You’ll also find a comprehensive suite of safety features such as enhanced active park assist, lane keeping system, a 360-degree camera, forward and reverse sensing, adaptive cruise control and auto high-beam headlamps. The 2019 LINCOLN Navigator makes for an innovative drive.